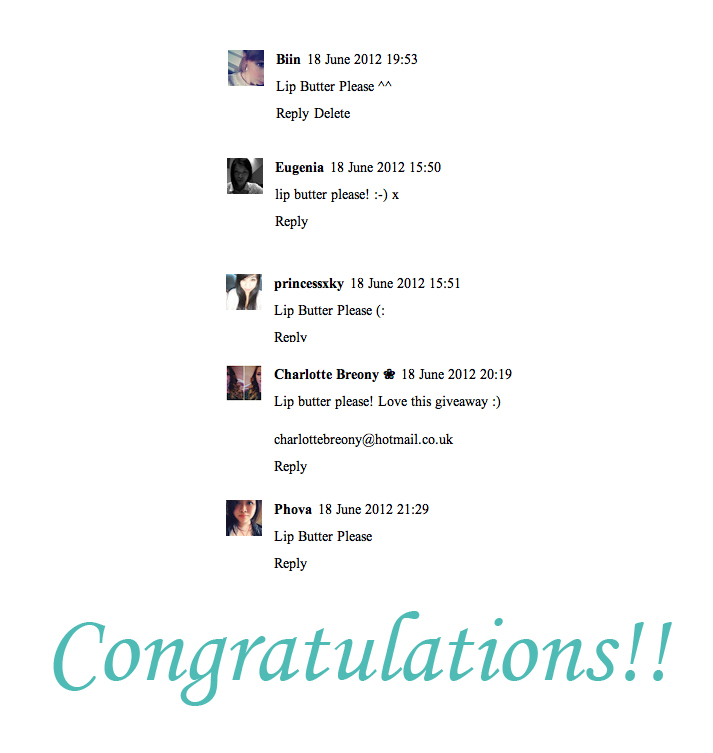 As promised, I am giving away the 5 Lip Butters I was sent and here are the winners. Thank you to everyone who entered ......!! !